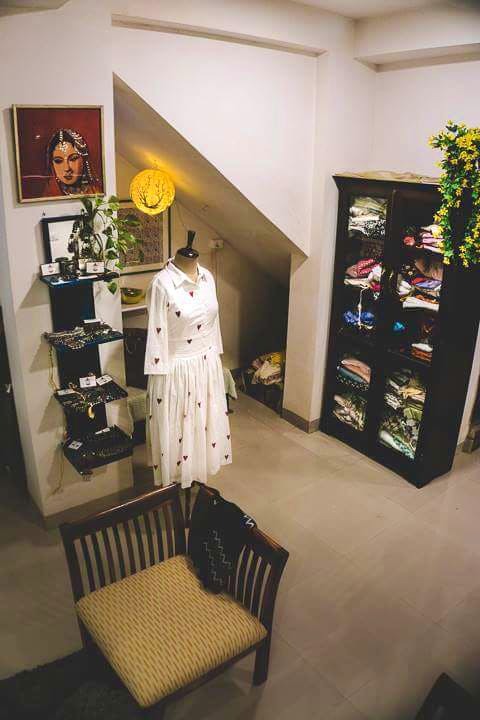 Jaama is the kind of brand that grows on you from the moment you step foot inside the cosy studio, set up in a basement in New Friends colony. Beautiful embroideries, paired with interesting cuts and great finishes make their garments stand out of the blingy, crude clutter that fills the market shelves these days. The designers are present at the studio to help you with all your queries and share useful styling tips! The studio is the labour of love of two entrepreneurs, so don't expect swanky interiors. The studio is earthy and the outfits great and very reasonably priced and beautifully styled. The studio is also happy to customise outfits for you. Do also check out their online page for their entire range of designs.